Located near Mount Rushmore, the National Presidential Wax Museum is one of the few wax museums dedicated almost 100% to the history and legacy of the American President. 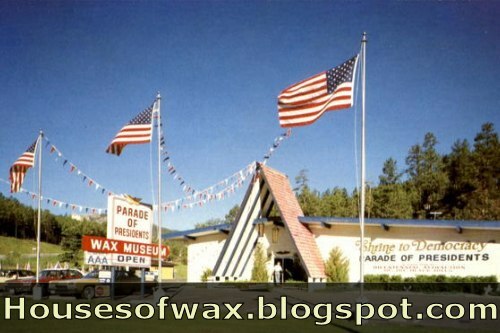 Originally called the Parade of Presidents Wax Museum, the museum closed for a short time in the late 1990's, but reopened in 2001 with a new name and a renewed focus. Slogan(s): "Shrine to Democracy", "Where History Hails the Chief".